TMJ stands for temporomandibular joint. Pain and discomfort of the TMJ is known as TMD and more commonly known as TMJD (temporomandibular joint disorders) or lockjaw. It is a serious condition that causes anywhere from mild to severe pain in the jaw. It is a condition, not a disease. The joint that connects the jaw to your skull is called the temporomandibular joint. 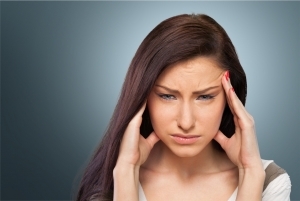 Any injury can lead to pain and TMJ syndrome. We pride ourselves at Rittenhouse Square Chiropractic in providing the best care possible in the Philadelphia area. Our inviting staff will lead you with a smile whether it’s your first time or you are a regular patient. We aim to accomplish the health goals that we set together. After an initial assessment and a tour of the facility, we put an action plan in place and monitor your health throughout. We want you to be pain free. TMJD can be caused by trauma to the jaw, joint problems, muscle issues, genetics and more. It is more common in women than men. Right now, we do not know the specific causes of TMJ unless a traumatic event happened such as a car accident or sports injury. TMJD can lead to severe or even permanent degeneration and arthritis over time requiring surgery, physical therapy, and often leads to chronic pain and disability without proper management. Although home remedies such as ice packs and over the counter medicines for TMJ symptoms can provide temporarily relief, these are not cures. See Rittenhouse Square Chiropractic to make an appointment and stop these symptoms from developing into a more serious issue. We also work with many local dentists and oral surgeons to co-manage TMJD patients. Some medical treatments could include dental appliances, prescriptions, physical therapy, and surgery.